Home Articles MetaTrader 4 or MetaTrader 5 – Which one to use? MetaTrader 4 or MetaTrader 5 - Which platform to use? Irrespective of experience, you’d be hard pressed to have not heard of MetaTrader, or MetaQuotes Software. Established in 2000, MetaQuotes Software Corp. is one of the leading developers of software applications for brokerages, banks and exchanges. The company has developed a series of popular products, ranging from a simple FX Charts platform to the MetaTrader 4 and the MetaTrader 5 platforms – typically referred to as MT4 or MT5. Both MetaTrader 4 and MetaTrader 5 boast incredibly fast execution and offer a number of trading tools for its users. The majority of brokers across the globe use this software, providing clients the opportunity to trade on award-winning platforms, the ability to view live streaming prices and charts, to place orders and manage their accounts. Despite this, there are a number of comparisons between the two packages worth understanding. MetaTrader 4, released on July 1, 2005, is a simple and easy to use electronic trading platform, primarily reserved for the online retail forex market. MetaTrader 5, released five years later on June 1, 2010, however, is an all-in-one state of the art multi-asset trading platform. Having to step away from the trading station can be difficult, particularly if you’re in a trade or a setup is within striking distance of its buy/sell line. By employing the use of the mobile versions offered through MetaTrader 4 and MetaTrader 5 via iOS and Android powered smartphones and tablets, traders are able to access their trading platforms from anywhere in the world 24 hours a day. The functionality offered on mobile versions includes interactive quote charts, full set of trading orders, popular analytical tools, the ability to monitor account status and buy and sell financial instruments. Analytical objects are certainly one of MetaTrader’s strong points. 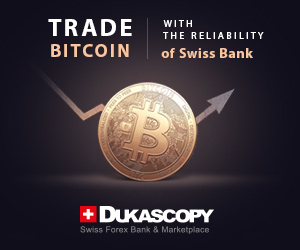 Both platforms allow users to customise the interface to suit trading needs. Interactive charts come fully loaded with nine timeframes to choose from on MetaTrader 4, though MetaTrader 5 boasts a whopping 21 timeframes to work with. 30 built-in technical indicators are available on MetaTrader 4, whereas MetaTrader 5 offers 38. In terms of drawing tools, the MT5 platform provides some additions over its counterpart, including, more Fibonacci studies and Elliot wave drawing tools. All in all, MetaTrader 4 brings 31 graphical objects to the table while MetaTrader 5 supplies 44. It is also worth noting both platforms have alert functionality with audio, and the latest financial news. This is handy if you trade multiple markets. Another nice addition to MT5 is the economic calendar. Attached to the bottom of the chart in the shape of a small, yet trendy, time function, it alerts traders when high-impacting macroeconomic news is about to hit the wires. A key difference between the two platforms also worth highlighting is MT5 offers market depth (DOM – depth of market), allowing clients to view where bids and offers are priced across markets. Algorithmic trading is trading with the assistance of an automated trading system – sometimes referred to as ‘trading robots’. MetaQuotes Language 4 (MQL4) and MetaQuotes Language 5 (MQL5) are built-in programming languages serving to address traders’ needs and requirements for writing trading programs. By adopting and understanding this language, traders are able to produce Expert Advisers (EA). 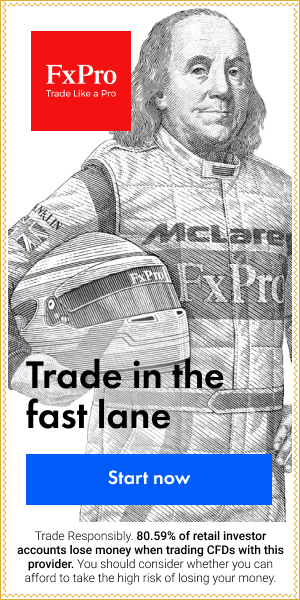 Just about any trading strategy can be implemented as an EA, automating your trading process. In addition to this, traders can also create custom indicators. Systems coded with MQL4 are not compatible with MQL5 programs. Another key difference worth noting is the trading system setup. MQL4 is used for developing trading programs based on the order system and MQL5 is utilised to implement a positional system. MQL5 is said to be more efficient and easier to use than its MQL4 counterpart. MQL4 requires several functions to complete each trading operation. It might also be worth pencilling in the improved Strategy Tester for EAs on MT5, with Agent Manager for remote optimisation. MT4 and MT5 have similar execution modes. Three execution modes: instant execution, execution on request and execution by market are available on MetaTrader 4, though MetaTrader 5 offers an addition in the form of ‘exchange execution’. In this mode, orders are sent to an external trading system (exchange). In terms of pending orders – execution modes used to buy or sell a market at a predefined price in the future – MT4 has four order types available: buy stop, buy limit, sell limit and sell stop, while MT5 offers six. The additional two orders provided in this program are the buy/sell stop limit. MT4 allows only hedging. MT5, however, permits both hedging and netting. An example of netting is if a trader were to enter into a long position for 1 lot on say the EURUSD and then enter a second lot in the same market, the initial order entry would simply become one position, as opposed to two separate positions. Embedded MQL5 community chat function. Funds are able to be transferred between accounts on MetaTrader 5. MetaTrader 4 is designed for CFD forex instruments, whereas MetaTrader 5 is an all-in-one state of the art multi-asset trading platform, covering both centralised and non-centralised financial markets, including, stocks, futures and FX trading instruments. MT5 is faster and more efficient than MT4. MT5 is a 64-bit, multi-threaded platform, whilst MT4 is a 32-bit, mono-threaded platform. Both MetaTrader 4 and MetaTrader 5 contain internal mailing systems, though MT5 offers this service with attachments. Just to be clear, on both platforms traders are unable to send emails outside of the MetaTrader system, only to administrators of the trading server. Which is better – the MetaTrader 4 or MetaTrader 5 platform? While MT5 certainly boasts a number of new features and may appeal to some traders, others may prefer the straightforward nature of MT4. If you’re new to trading, or are simply interested in trading forex, MetaTrader 4 is an obvious choice. If you’re more advanced and find use in the additional tools offered in MetaTrader 5, nevertheless, this platform is certainly worth considering.